Moonlighter. The new generation of Dell's office workhorse, the Latitude E5540, is clad in a black, 15.6-inch suit and with a power-efficient Intel Core i5 processor. Is it a must for the office? Dell has a foot or perhaps even two in the door of many companies. That is very likely because the Texan manufacturer willingly listens to the feedback of its customers and improves its laptops accordingly. A 15.6-inch laptop that is not too heavy and that features a docking port, which is easy to manage and also offers enough performance for office routine, is standard equipment on many desks. 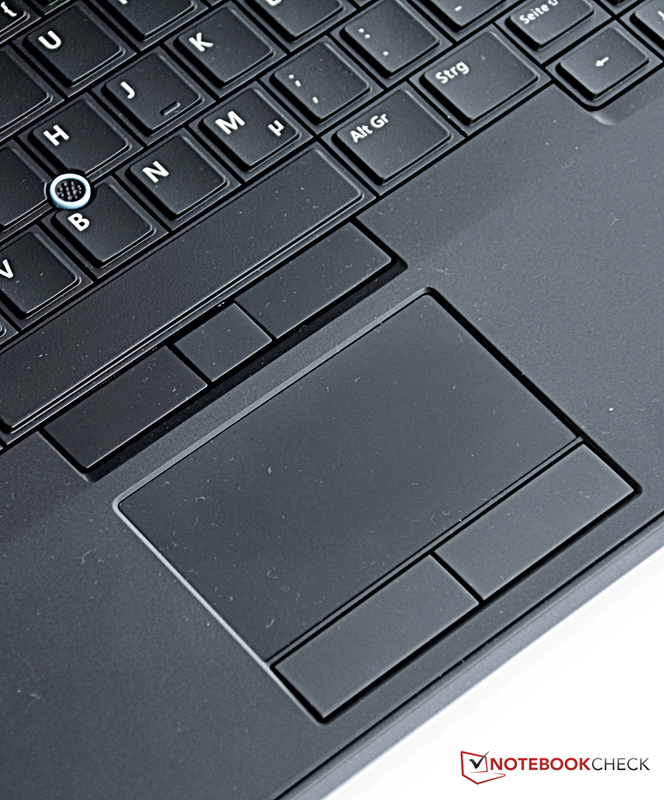 At first glance, Dell's E5540 (or Dell's Latitude 15 5000 Series) meets all these criteria. However, the competition for the favor of big businesses that not only buy one, but hundreds or even thousands of laptops is fast-paced. Thus, particularly Lenovo and its ThinkPads are popular: The ThinkPad L440 or L540 would be comparable laptops. Asus is a newcomer with its AsusPro P56CB, whereas Toshiba's Satellite U50t has an easier time. 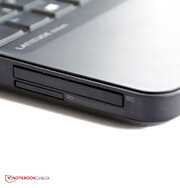 Fujitsu offers the LifeBook A544, and the ProBook 655 G1 or ProBook 650 G1 from HP are apt comparison devices. The hinges are stable, but the casing is too pliable otherwise. It quickly becomes obvious that the redeveloped casing is not an ultra-cheap model - Dell has now relocated those in its Latitude 3000 Series. 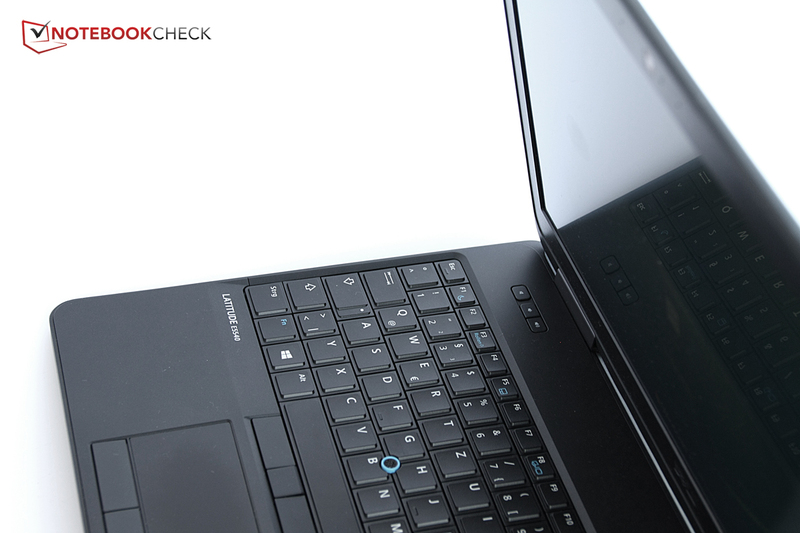 The high-quality chassis of the Latitude 6000 and 7000 laptops remain unmatched though. The material used contributes to that: Plastic no matter where the fingers are placed, though with a high-quality and pleasant feel. Gorilla Glass protects the screen, and the lid is reinforced with fiberglass, but it can be warped to quite an extent. The casing's lower part is fairly rigid, but the wrist rest's right side is a bit too pliable, for example. Black, rounded corners, basic yet stylish - these few words could be used to summarize the Latitude E5540's design. It will certainly make a good impression everywhere due to its restrained looks; buyers who want something extraordinary will have to look somewhere else. The build is acceptable, but we found slightly irregular gaps on the casing's right. All in all, it is a functional, well-designed chassis that could benefit, in a few places, from a stiffer casing. We discovered the expected business laptop interfaces, distributed around the casing, except for on the front. 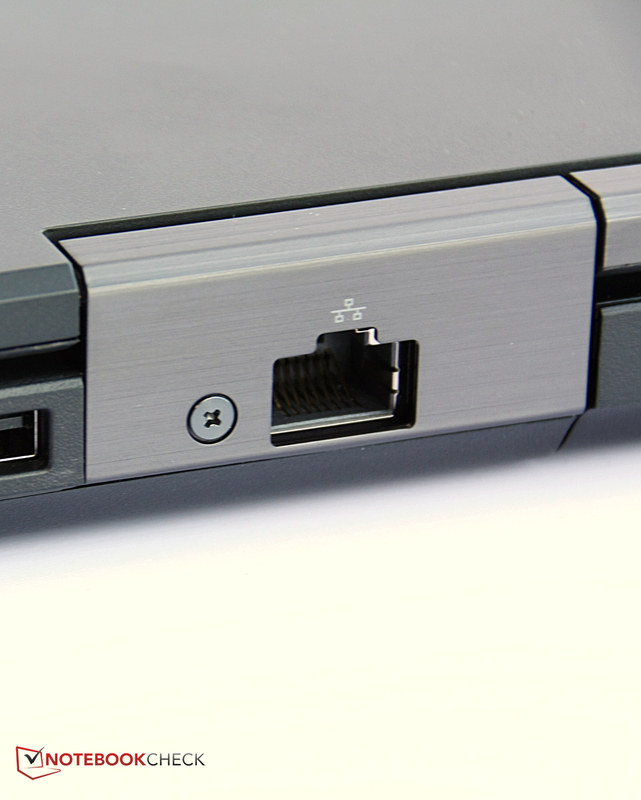 For example, Dell's Latitude E5540 sports four USB ports, two of which are USB 2.0 and two USB 3.0. Finding the right port for peripherals should not be a problem. 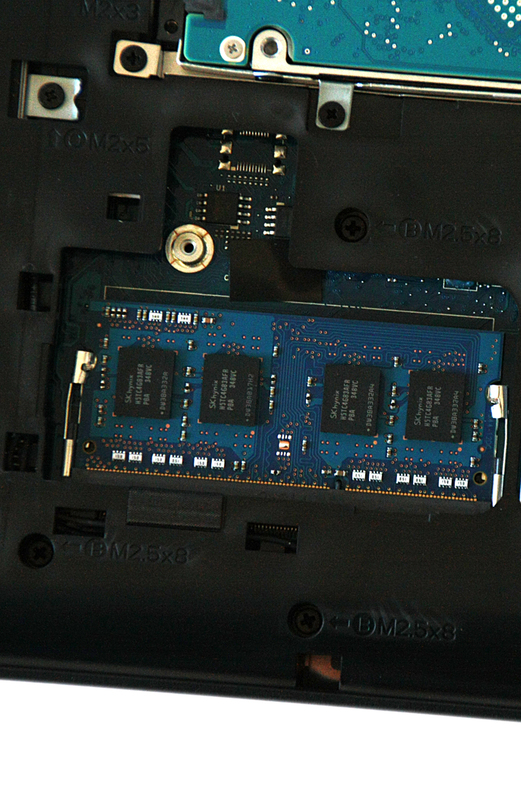 The laptop reads both SD cards and ExpressCards alike. The docking port on the device's underside allows expanding the interface diversity, and the laptop can be connected to stationary devices on the desk quickly. Dell sets an example with the installed Wi-Fi module that even supports the latest 802.11 ac standard besides 802.11 a/b/g/n. Bluetooth 4.0 LE complements that. A WWAN card cannot be inserted by default, but is available for major customers upon request. The Wi-Fi module's reception is good. The signal strength fluctuated between full and 3/4 reception even at a distance of 10 meters (~33 feet) and through three walls. An additional wall reduces the level to between 3/4 and 1/2. The fingerprint reader is the most striking security feature. 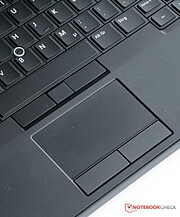 It is located under the wrist rest's right area in Dell's Latitude E5540. 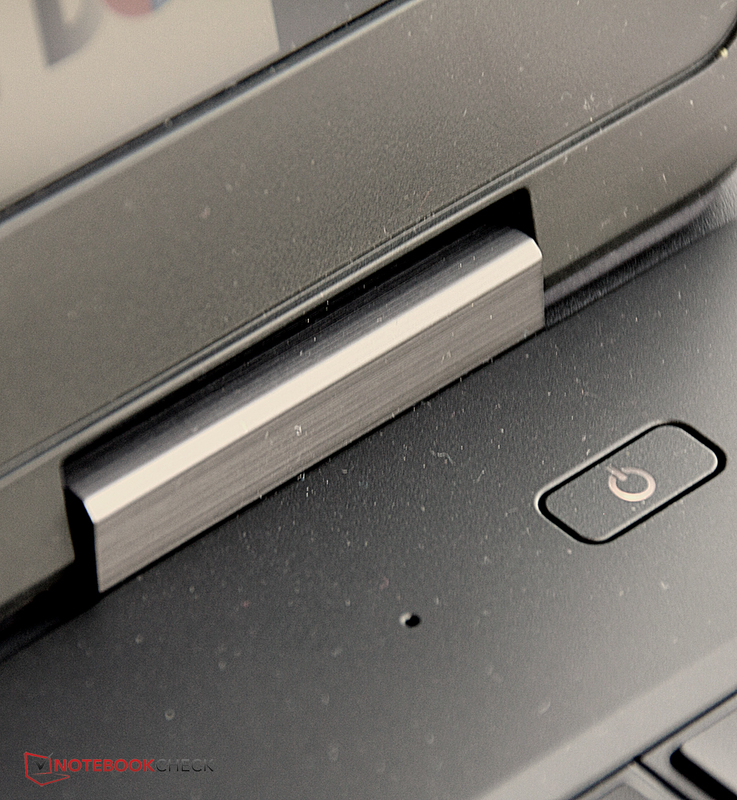 It effectively allows limiting the laptop's accessibility. A Trusted Platform Module is installed, and SmartCard support is optionally available. Besides that, a protected environment can be created via the Protected Workspace software, in which the browser can be opened and potentially malicious scripts and attackers cannot access the rest of the system. Dell's Data Protection additionally offers extended login options and protection against threats from the Internet. Since the end user in the office will not see the original box, it does not include much more than the power supply and laptop. The port replicator is likely the most frequently ordered accessory; otherwise, Dell has standard accessories such as monitors, keyboards, and bags available. Many parts can be accessed after removing only a few screws. It is commendable that Dell now supplies many models with detailed disassembly instructions. 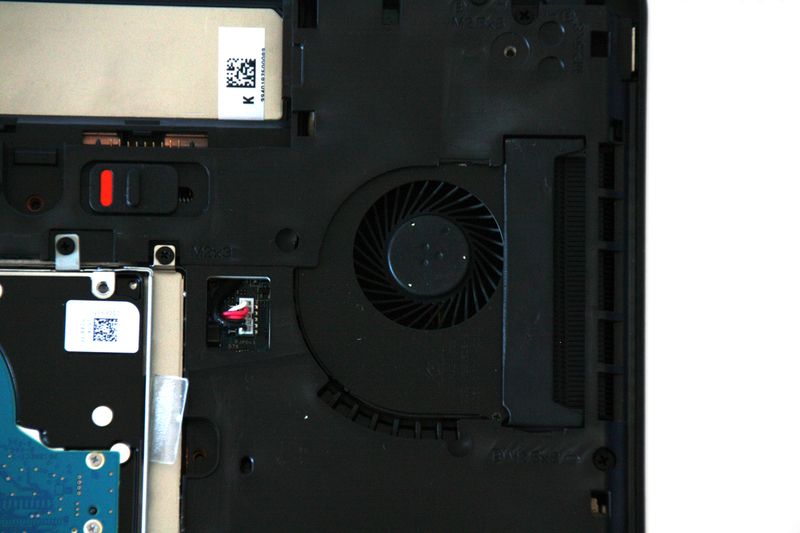 The Latitude E5540's underside can be lifted off by removing only a few screws. 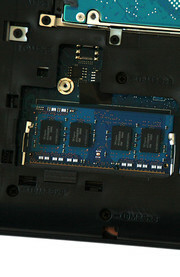 The user can then access the hard drive, memory, fan, Wi-Fi module, and BIOS battery. The guide also provides instructions on how to take apart the camera, screen, and almost all other components. However, only pros should really do this. Laypeople will be able to replace the hard drive without issues. A base warranty of 1 year is included free, and options for other warranties are very extensive. The base support can be upgraded up to 5 years for a maximum of 139.10 Euros (~$192). The ProSupport costs almost exactly twice as much, but it includes a single point of contact and 24-hour phone support. Accidental damage, theft protection, battery warranty: the options are diverse and, depending on the use, they make sense and are priced reasonably. Like the rest of the casing, the keyboard is a bit too pliable and features a rather hard stroke that will not appeal to everyone. 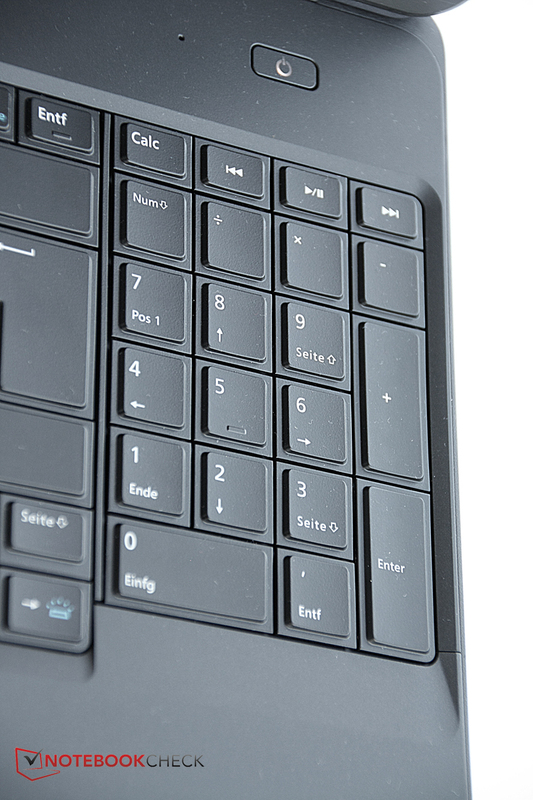 The full-size number pad and square letter keys with an edge length of 15 mm make up for that. 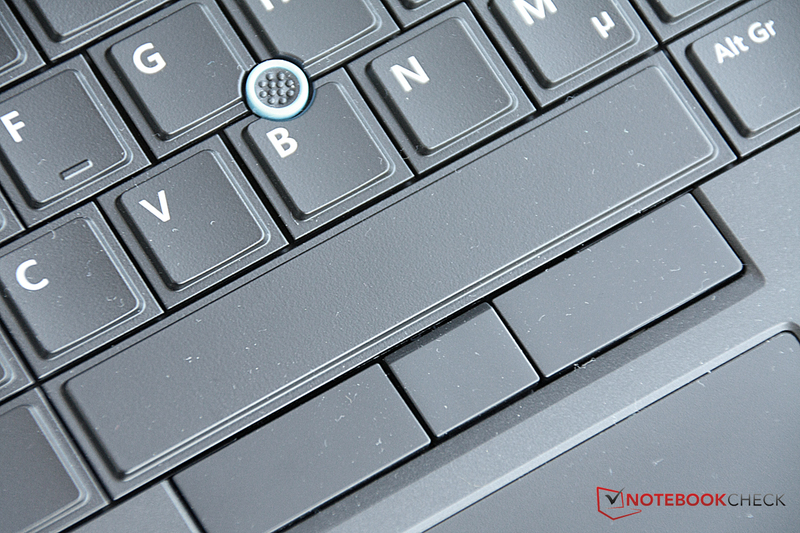 That enables accurate and fast typing because the keys' drop is neither too short nor too long. The keyboard has a backlight that can be set to four different levels. 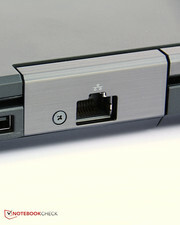 Dell also installs a few special keys; for example, a hardware switch for Wi-Fi is on the casing's right, and a control panel for volume is above the keyboard. 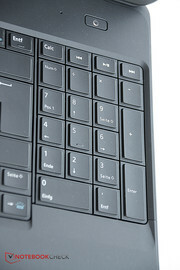 A key above the number pad opens the calculator, and a set of multimedia keys is also available. 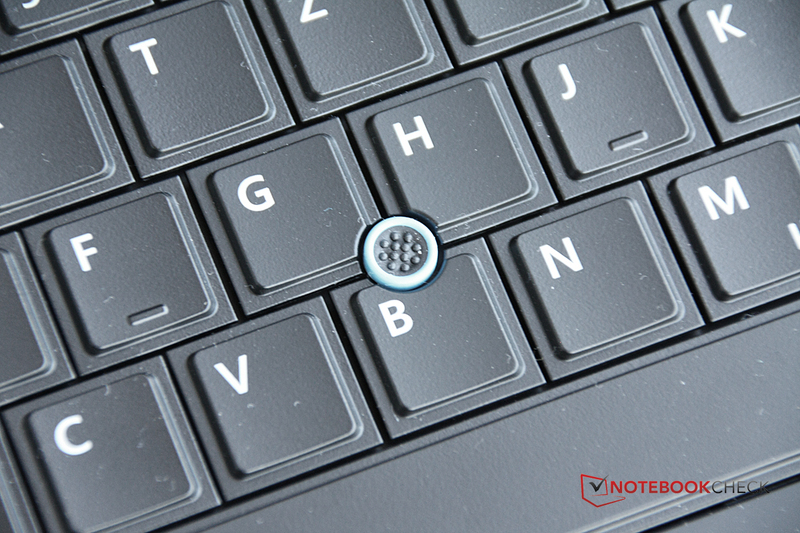 The ThinkPad was first, and now many are copying it: In addition to the touchpad, Dell's Latitude E5540 also has a TrackPoint between the G, H and B keys, and has its own set of mouse buttons. When familiarized with the rubber nub, working with it is fast and accurate, particularly since it features a third mouse button. As usual, if worn out, the rubber cap can be removed and replaced. Navigating with the touchpad also works well. The touch-sensitive surface is quite far left in the casing, and is sufficiently sized with a diagonal of 90 millimeters (~3.5 inches). The surface allows the finger to glide easily, and offers two dedicated and pleasant to use keys with a clear pressure point. Dell is naturally aware that the input devices are a very important criterion for a business laptop, and has done a very good job with them. 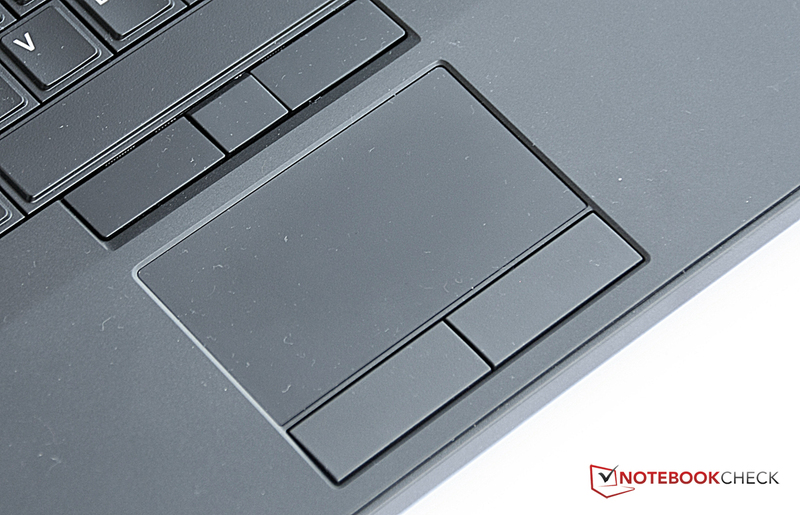 However, the keyboard could be inserted a bit more firmly in the casing in the next model. The screen in our review sample is a matte, 15.6-inch display based on TN LED technology. It has a resolution of 1920x1080 pixels, which is thus relatively high for this price range. 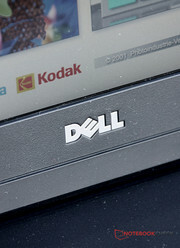 Dell optionally offers screens with 1366x768 pixels and glossy touchscreens in both resolutions. 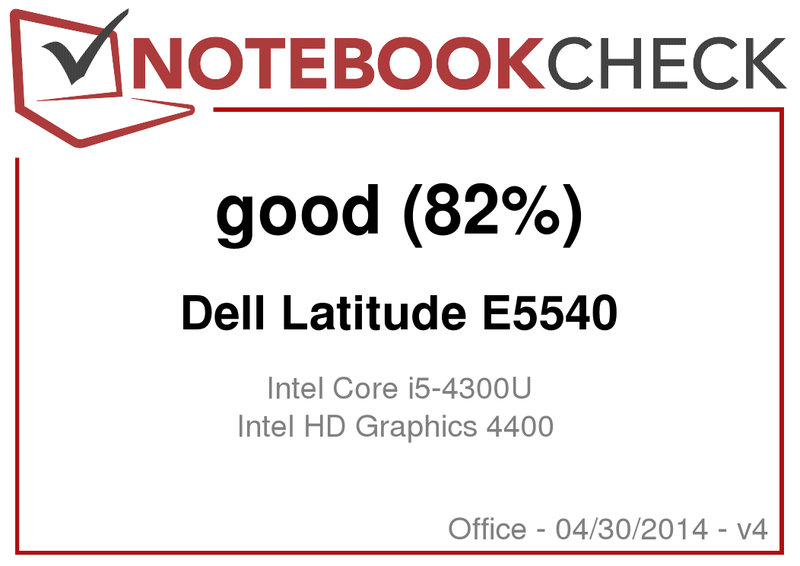 Dell's Latitude E5540 will likely spend most of the time in the office. Consequently, the brightness is not that important, but it is quite good compared with the comparison field. 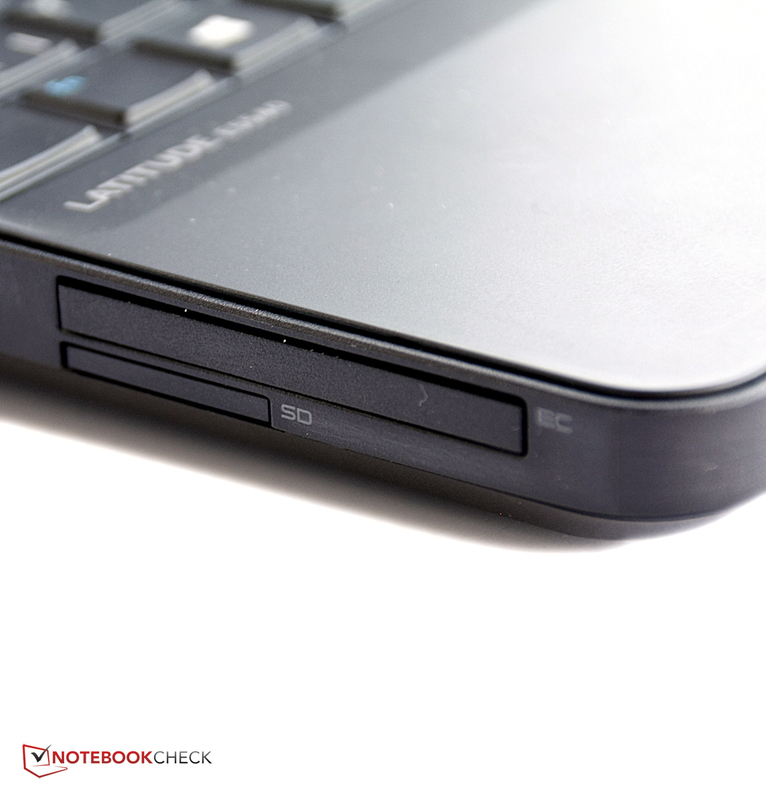 Only Lenovo's ThinkPad L540 slightly surpasses the average of 272.9 cd/m². Besides that, the illumination of 87% is fairly homogeneous. The middling brightness leads to a middling contrast: 503:1 is acceptable though not outstanding. 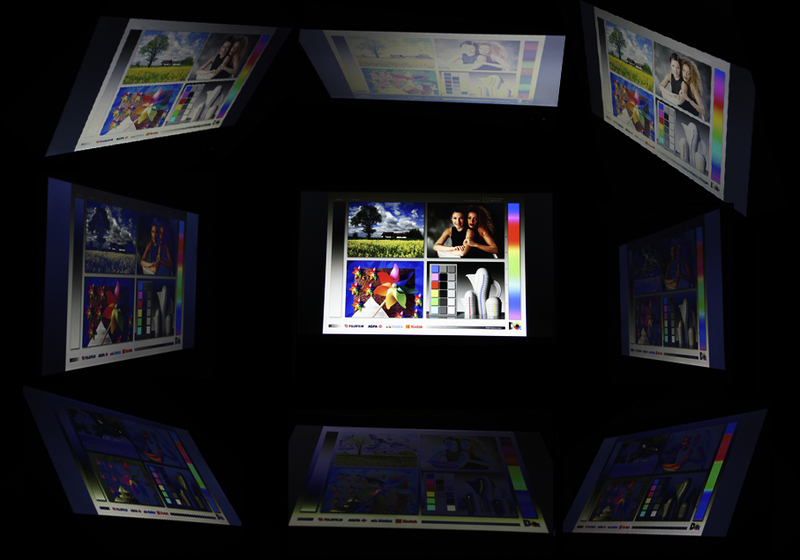 The same is true for the black level of 0.57 cd/m², which lets dark areas on the screen look fairly dark and deep. A precise analysis using CalMAN and the colorimeter immediately reveals a very intense bluish cast that cannot be eliminated via calibration. The grayscales and color look much bluer than they should according to the reference color space. The saturation in the blue hues is also greatly overemphasized. Although this remains similar after calibration, the colors at least come closer to the reference values due to an increased red part. Calibration particularly improves the grayscale's very high shift to a very low shift from the reference values. The matte screen is of course a first good step for outdoor use. Additionally, the screen's decent brightness enables recognizing content fairly well even in brighter surroundings. 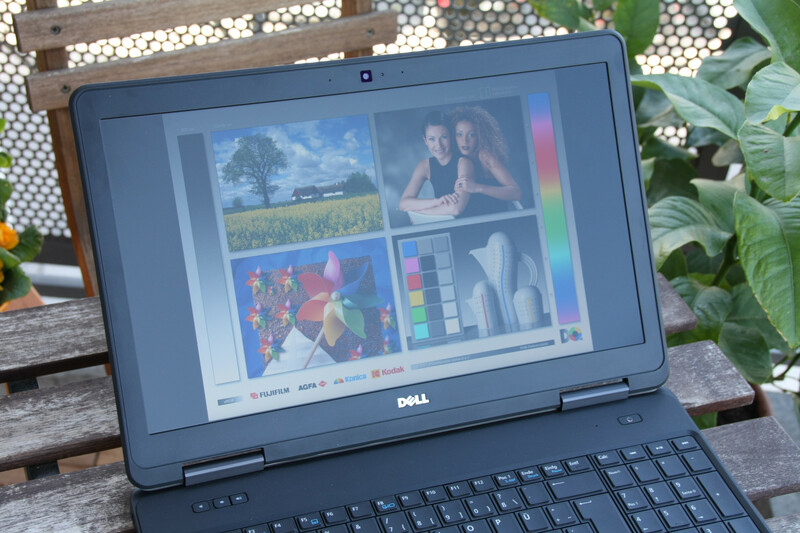 It is naturally nevertheless difficult to work with the device in direct sunlight, but glare-free working with Dell's Latitude is possible in normal daylight. The viewing angle stability is good from all sides, but not as perfect as, for example, an IPS screen owing to the underlying TN LED technology. Color shifts and contrast losses are seen in very acute angles. However, that is not inevitably a drawback in business laptops; after all, you do not necessarily want the person sitting next to you on the train to read everything. 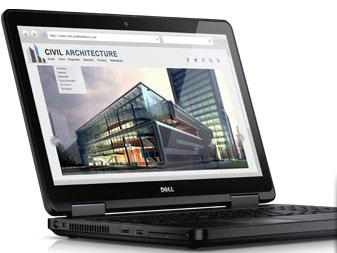 Dell equips its Latitude E5540 models with processors from Intel's Core-i range. However, the manufacturer does not use standard voltage CPUs, but energy-efficient models like the ones used in ultrabooks. They provide enough power for office routine, and save energy and battery capacity at the same time. Only Intel's Core i5-4300U can be installed directly on the website, but Intel's Core i3-4010U is possible via personal contact when desired. Dell installed 8 GB of working memory in our review sample. Both banks are filled, but when a model with 4 GB is selected only one memory bank is occupied, and can easily be upgraded to 8 GB afterward. 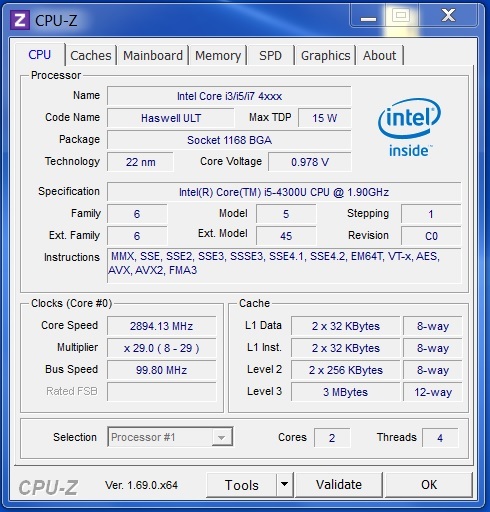 Intel's Core i5-4300U has two cores with a base clock of 1.9 GHz, and which can run with a maximum of 2.9 GHz via Turbo. 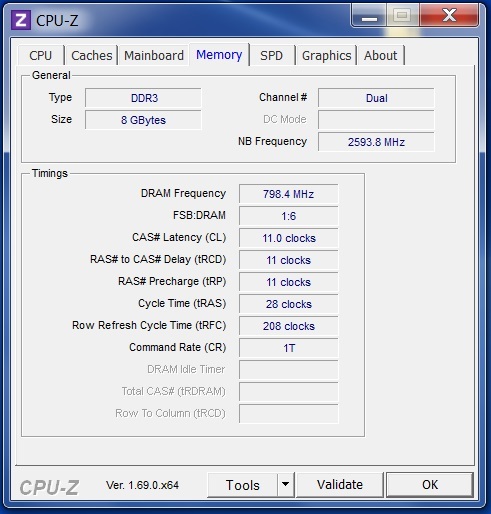 The processor is a member of Intel's current Haswell generation, and has a TDP of 15 Watts. In our experience, the processor is not only strong enough for office applications, but also has performance reserves for demanding programs. The Cinebench comparison confirms this, where Dell's Latitude E5540 is only defeated by the ThinkPad L540. It sports Intel's standard voltage Core i5-4200M, which has a higher clock rate. In return, the difference of 6% in the multi-core comparison is marginal. Dell's Latitude E5540 is a balanced system owing to the fast processor, a hybrid hard drive (more about that in the next section), and the sufficiently sized working memory. No component slows down another. Consequently, the scores in the PCMark benchmarks are quite good. Only Toshiba's U50t achieves a higher score in the comparison field. 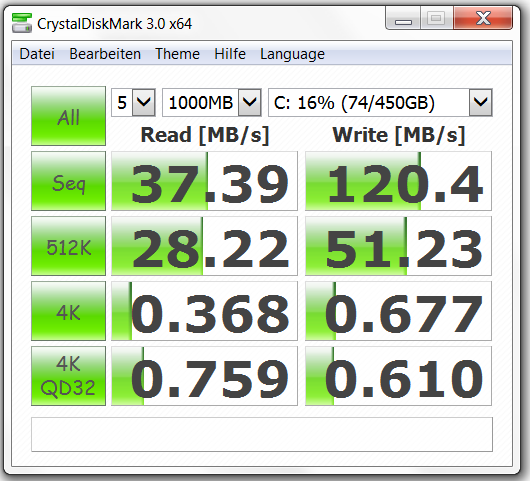 An SSD cache also makes for a faster hard drive here. 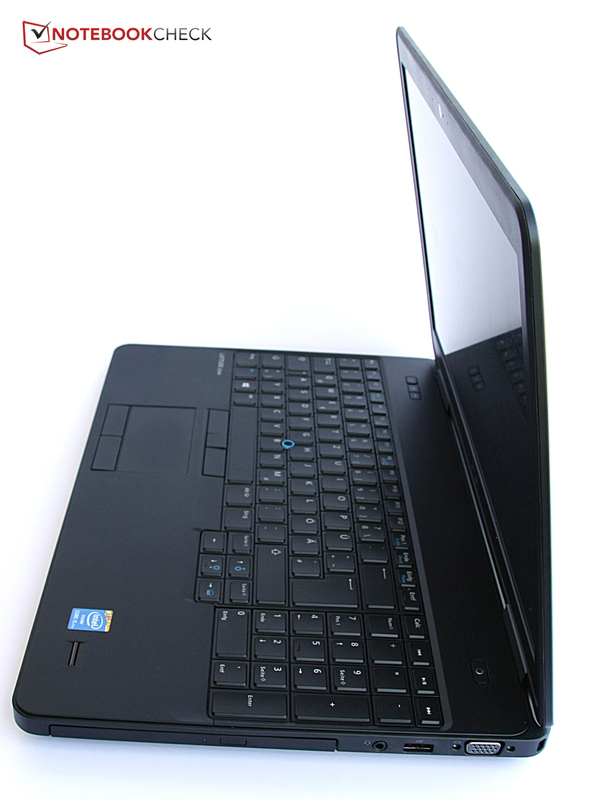 The hybrid hard drive from Seagate in Dell's Latitude E5540 has a capacity of 500 GB. However, only 450 GB is available due to the recovery images on a dedicated partition. 8 GB of NAND flash is responsible for making frequently used data and programs available fast. 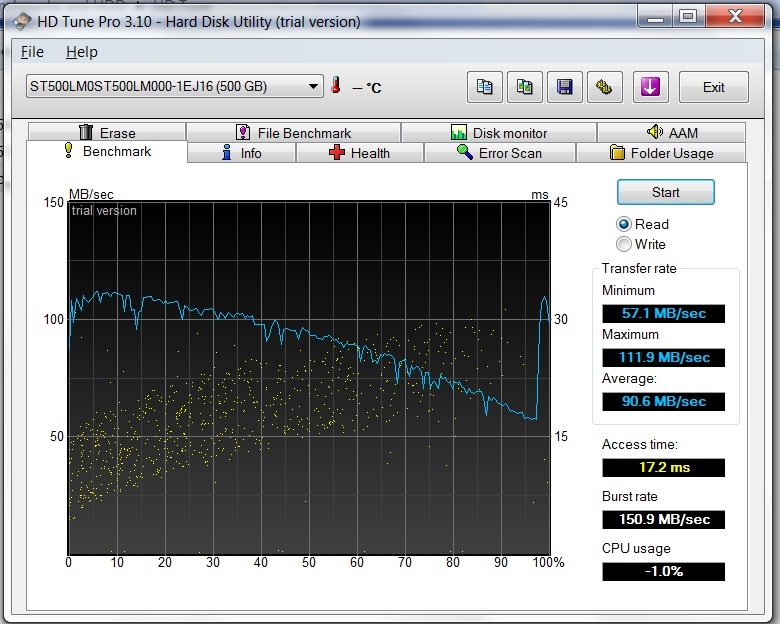 This in fact boosts the average transfer rate, but the speeds are still remote from a genuine SSD. Since many office models now use this technology, and some have considerably larger caches, the Latitude E5540 is on a similar level as its contenders. We have frequently encountered Intel's HD Graphics 4400. It is integrated into many current energy-efficient Intel Core-i CPUs, and easily suffices for all graphic tasks up to undemanding games. Only Asus' P56CB sports a dedicated graphics card in the comparison field, and consequently has the lead in 3DMark11. 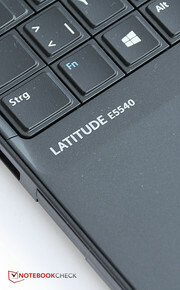 All other comparison devices slightly lag behind the Latitude E5540. As said, gaming with Dell's Latitude E5540 is quite possible. However, older games should be preferred, or the graphics should be extremely reduced when newer games are played. The graphics card will likely also have problems rendering games from a few years ago in the screen's native Full HD resolution. For example, "Assassin's Creed 4: Black Flag" will not run smoothly on the laptop, while the older "Anno 2070" still runs fairly well in low and with restrictions in medium details. The most pleasant office day can be completely ruined when the laptop's fan permanently whirs along loudly. However, this is not the case in the Latitude E5540. Only a gentle noise is usually heard from the casing's left where the vent is located. A maximum of 33.5 dB(A) is reached during full load, which is still fairly quiet. The fan is sometimes inactive when the laptop is not at all loaded, and only the hard drive's very quiet noise is audible. 37.3 dB(A) from the optical drive have to be accepted when watching a DVD after work. Although that is audible, it is still within a tolerable range. The power suffices for working swiftly in office routine. But does the casing perhaps get exceedingly warm? This is not an issue for Dell's Latitude E5540. We ascertained the absolute maximum temperature on the underside's center, which was 38.5 degrees Celsius (101.3 degrees Fahrenheit) during full load. Though noticed, it is not yet unpleasant. The temperature remained even more agreeable on the upper side where the hands are with 34 degrees (93.2 Fahrenheit). No temperature increase was noticed on the upper side in idle mode, and only the underside warmed up slightly with a maximum of 35.4 degrees (95.7 Fahrenheit). We simultaneously use the FurMark and Prime95 benchmarks for simulating a longer period of full load. Here the CPU and GPU temperature remained below 70 degrees Celsius (158 Fahrenheit), and thus never becomes critical. The clock rates were not reduced so that the full performance was always available. 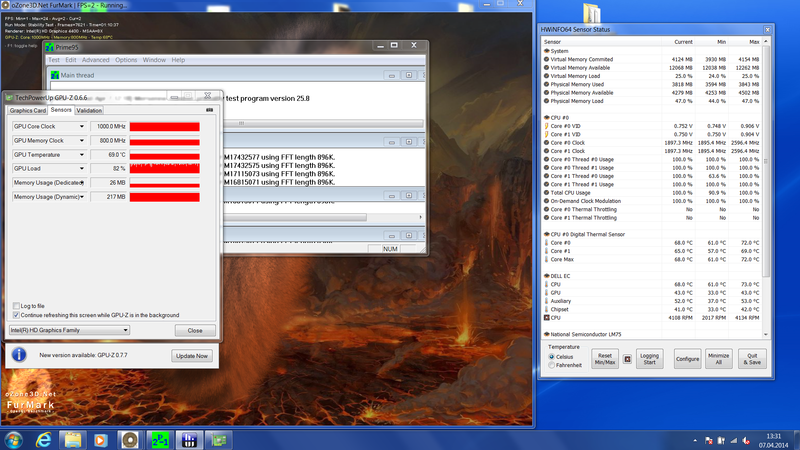 Even the scores of 3DMark06 and Cinebench R11.5 directly after full load were the same as from idle mode. 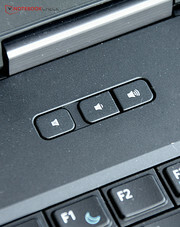 The speakers' sound quality is unlikely the decisive criterion when buying a business laptop. Nevertheless, good speakers are helpful in presentations or when listening to music or watching a movie after work. 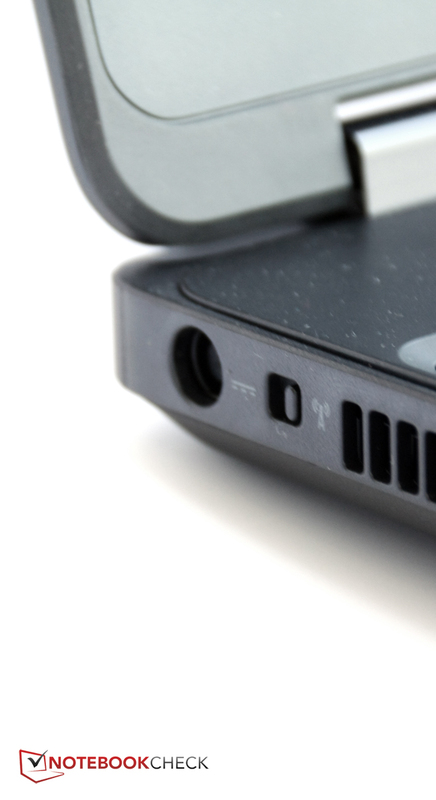 The stereo speakers of Dell's Latitude E5540 are well suited for that. They have a decent volume, do not distort even at higher levels, and reproduce trebles and midrange well. Low pitches are almost completely absent, but that is quite usual for laptop sound systems without a subwoofer. Consequently, the speakers are quite suitable for occasional use and users with an average demand. Looking at the power consumption of Dell's Latitude E5540, we see that it can be relatively high at idle, average consumption of 12.8 Watts, yet very moderate at load, maximum load consumption of 39.8 Watts. Unfortunately, since low load is more frequent than maximum load in office routine, this is a bad omen for the battery runtimes. The Latitude E5540's consumption rates are not conspicuous in a turned off state or in standby, and remains within an acceptable range with 0.1 and 0.2 Watts respectively. 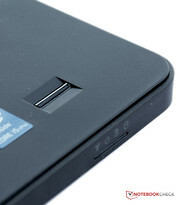 It is fortunate that Dell includes a strong battery for its Latitude E5540. The lithium-ion battery can supply 65 Wh. Consequently, very good battery runtimes are possible after all. 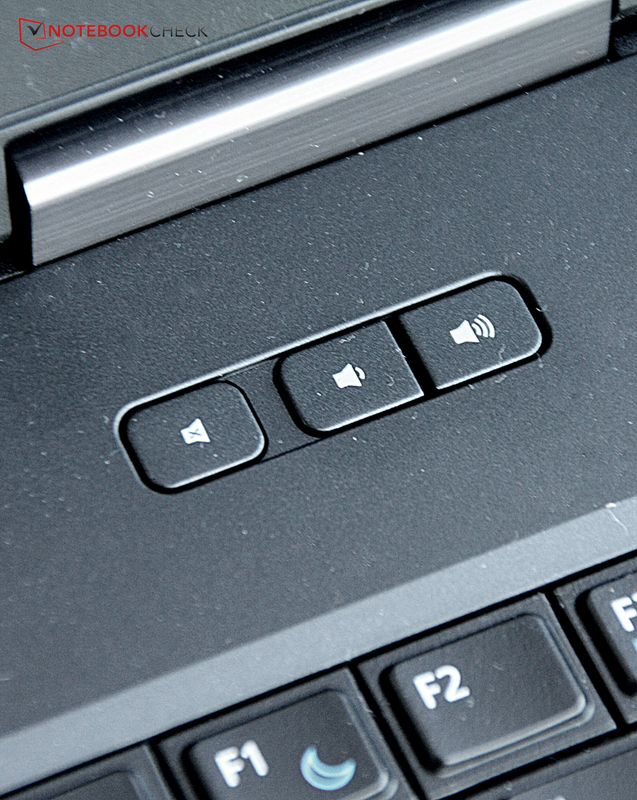 The laptop runs for up to 7:03 hours when browsing via Wi-Fi. With a bit of luck, it is possible to watch two "Lord of the Rings" movies without the power supply owing to a DVD runtime of 5:56 hours. Dell's new generation of 15.6-inch laptops for the masses of company desks is convincing. The high application performance allows simultaneously performing even several tasks smoothly, the good interface diversity enables connecting with almost every infrastructure, and the casing's elegant yet restrained design looks good on every conference table. The laptop feels good, does not get too warm or too loud, and can score with long battery runtimes and decent multimedia capabilities even away from the office, not to forget the quiet keyboard and touchpad that co-workers would appreciate. The administrators will also be pleased about all standard security features and the many available services. However, the casing's stability is nothing to brag about; the keyboard and the corners yield, and the screen can be warped quite a lot. At least it does not produce any audible creaking or snapping noises. Unfortunately, the screen has a very intense bluish cast that has to be reduced via calibration. Companies that are using Dell laptops can still do so without hesitation, and those who are not yet using the products of the American manufacturer might be convinced by the Latitude E5540's restrained solidness. Even some private users might consider purchasing the Dell, seeing that personal data is well protected via the fingerprint scanner and TPM. The Latitude E5540 should therefore be a reliable companion in every working situation and beyond. 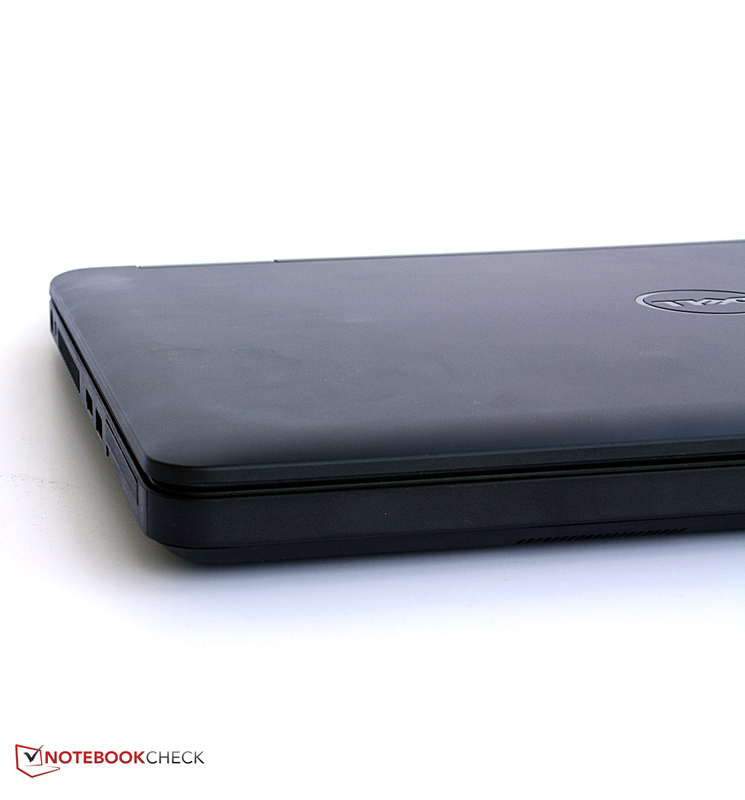 In review: Dell Latitude E5540. Review sample courtesy of Dell Germany. 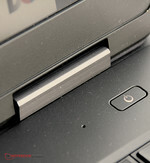 Dell's Latitude E5540 is to be placed on more company desks soon. The plastic casing is appealing, but can warp significantly in some places. The interface diversity is good: Express cards and SD cards can be inserted in the laptop. ...or keys for the calculator and multimedia. They are located over the number pad. The TrackPoint is in the keyboard. It complements the input devices very well. The keyboard features a backlight, but it is too pliable. 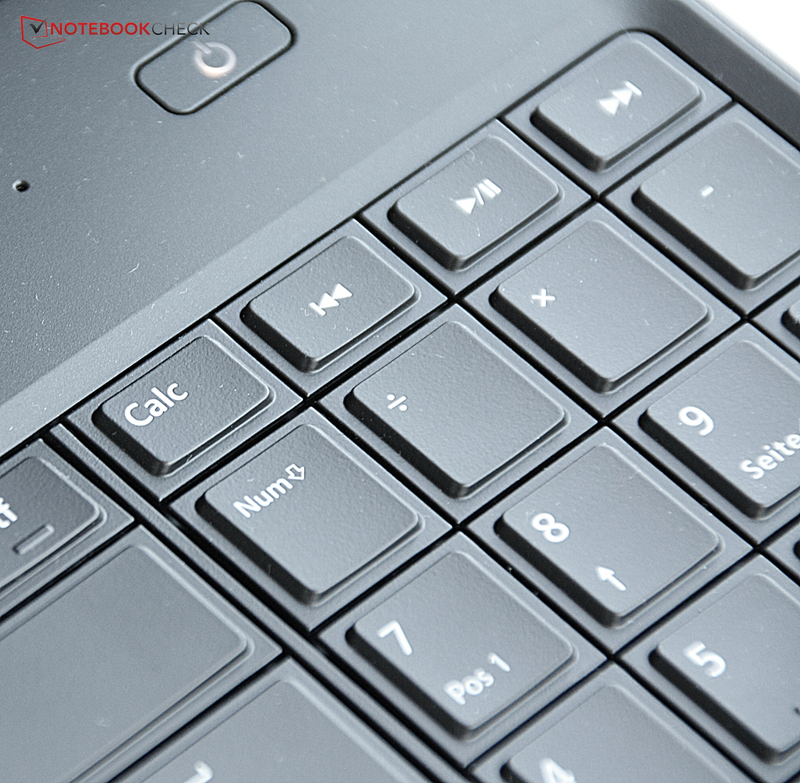 Naturally, a touchpad is also integrated. It unfortunately does not support multi-touch gestures. A fingerprint scanner protects the users data. The screen is decent, but has a bluish cast. 8 GB of working memory is installed in our review sample. Maintenance is made easy, and detailed instructions are included. Dell builds a solid device that unobtrusively makes the work of heavy users pleasant. A more stable casing would be needed to increase the quality impression and to show off to MacBook users and Co.
How much power even relatively affordable office laptops now offer.